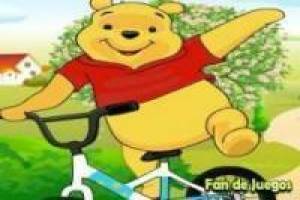 Winnie de Pooh and her friends are going to carry out some incredible bicycle races in the field and we are going to be part of them. You will have to choose your favorite character from these cartoons and it will be what you will be driving in the races. 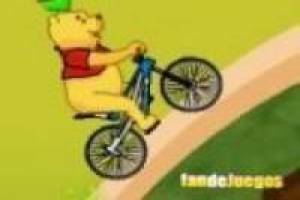 Once ready, we will start with the first level and we will have to drive our bicycle very carefully so as not to overturn and end up having an accident. If this happens, the race will stop immediately and you will have lost the game, having to start over again. Get ahead of the race, hold on to that position until you cross the finish line and beat all your opponents. Only then, you can unlock the rest of the levels with new impressive circuits. 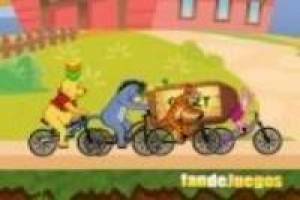 Enjoy the game Racing winnie pooh, it's free, it's one of our bikes games we've selected.